Try it! 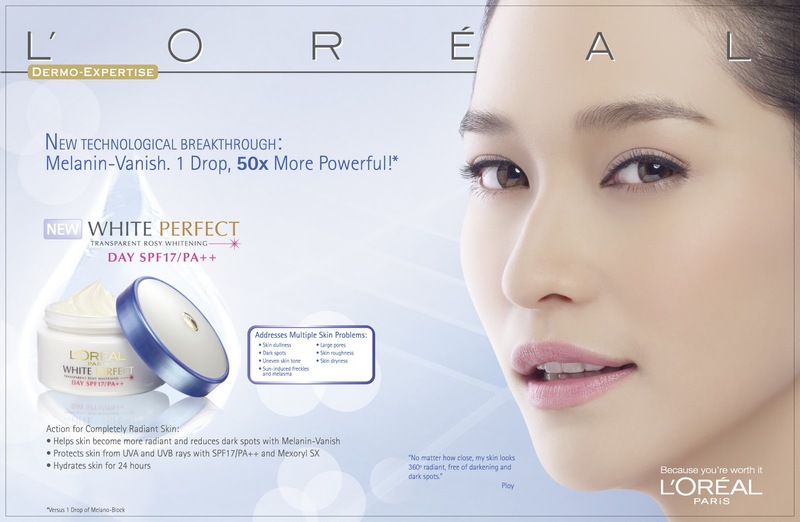 Whiter more radiant skin for only Php 595? Click me to learn more! Few days ago, I had undergone my first-ever chemical peel. (Will post about my experience here... soon! Special thanks to Clarity for the accommodation. Great service and thanks for being patient with my busy schedule!) Today's actually the fifth day since my treatment. I'm still peeling! I've been peeling since mid-day four! When my new fabulous skin is completely revealed, I'll stop using the sunblock I'm using now (SPF 26) and start using L'oreal White Perfect Moisturizer. I think it'd be a great opportunity to test the product as I'd be testing it on my newly unveiled facial skin :p Now, if you want to be whiter this Christmas too, I invite you to join me in trusting the experts in skin care. The more, definitely the merrier! White Perfect promises great results in four weeks! Super perfect timing! By Christmas, I'd be whiter! My fingers are crossed. Wish me luck as I chronicle this beauty adventure with you! Honesty is the best policy. Don't worry guys, my reviews are all from the heart. I don't want to post every now and then a defensive line about my reviews being this and that, unbiased lalala. I value your trust. Thank you for your continuous support.